“Eventually these beasts are going to live in herds on the beaches. Theo Jansen is working hard on this evolution,” the narrator says. “I want put these forms of life on the beaches and they should survive, over there, on their own, in the future,” Jansen explains. 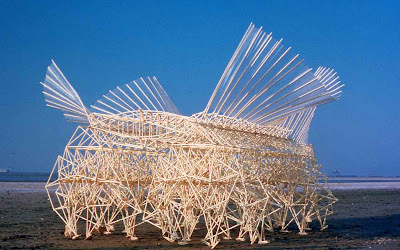 He calls the sculptures “Strandbeests” or in English, Beach Creatures. They are made out of conduit, hinged and light. They are moved by wind, and their motion, a kind of many-lagged walking, feels biological. Not necessarily animal. They are somewhat insectile, with their many legs all moving in series. But they aren’t creepy. They are compelling. You watch because you want to know what they are. How they work. Our brain perceives them as organic, as animals. Are they alive? Jansen says he is several years from getting them to the point where they can ‘survive’ on their own. He says their biggest enemy right now is storms, which drive them off the beach, or into the water, and break them. He is busily figuring out a way that they can ‘detect’ storms and survive them, the way they now ‘detect’ the surf. I don’t think they are alive. I’m not sure viruses are alive. But the sculptures don’t reproduce, they don’t heal themselves. But it’s not that they are handmade is what keeps me from identifying them as ‘alive.’ Which leads me to wonder, why aren’t the people who are so up in arms about The Golden Compass getting all twisted about this guy? The movie The Golden Compass is about as anti-church as a shoe store. But this guy, he’s claiming to create life. And obviously, he’s not really worried about whether his beasts have soul, or if there is some spiritualist/materialist dualism he’s compromising here. More importantly, he’s raising questions about what’s alive, what it means to create life, who creates life and what life is, that could, down the line, make things very dicey for religions that believe in souls. It’s very possible that if someone does create a complex, self-replicating molecule, like DNA, that can encode information, like DNA, then the results of that could get very complex indeed. I mean, once you’ve done it, making it complex is just a matter of iterating. It's a house full of boys. Boys of varying ages. Boys who got toys for Christmas. Boys eating pancakes. Boys getting serious about coffee (Jason, on the right, has a job at Starbucks and so his coffee fascination, always high, is now even higher.) Boys playing with dachshunds. Boys playing music (Adam made a cool MP3 mix that he's going to give me. Bob got a Buffalo Springfield box set.) It's actually only three boys (including the one at the back of the photo) but it's amazing how three boys can fill a house with boyness. Tomorrow me and the boys will decamp for the spending of gift cards and roaming around the city. But today, the house is full of boys. Sometimes people ask me what I'm doing these days. Sometimes I'm doing this with the people talked about here. ...on a plane and when the clouds part I see a town, a triangle of highways scratched in a dry land. In the triangle, a grid of streets. Clouds again, then a break and a line of tall white turbines in a wind farm turning amazingly fast for their size. West Texas? New Mexico? Arizona? I know precisely where I am. Seat 29F. But otherwise, I am adrift. Without time or location, alone among strangers. I don't know how long I have been flying, how much longer I will fly. I am cocooned in the harsh thrum of jet engines. We came out of the savannas of Africa, tens of thousands of years ago, making a map in our heads that we measured with our feet and our eyes, walking in the company of kin. We are nomads by biology. But we weren't made for this. This is the family cemetery in Swan Pond where my mother's family is buried. The family has been using the same funeral home since 1905. 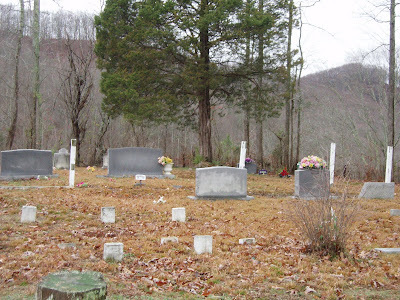 The cemetery (the Hampton-Lickliter cemetery) is outside Barbourville up Swan Pond Hollow, then up a gravel road to a flat place by some fields about halfway up the mountain. The weather was funereal, but it stopped raining a little before we got there and started raining as we left, which was more than anyone could ask for. Monday I fly to California for work. Then Friday, Adam and Jason fly in and the holidays start. My mother died peacefully yesterday afternoon. She was 92--born in 1915 in a hollow in Kentucky, she had a memory of the Spanish Influenza epidemic of 1918--her father brought the entire family through with vegetable soup. She remembered the introduction of cars to her small town in Kentucky. She rode the back of a plow horse to school with her older brother and little sister. She was born in a time where airplanes of were exotic, but traveled to Paris, London, Switzerland, Brazil, Egypt, the Caribbean and China. She had a brother and brother-in-law both serve in the Pacific theater in World War Two. She had first showed signs of dementia when she was 77 but was still pretty healthy until she broke her hip this fall. On Friday, Hospice was brought in because her dementia had progressed to the point where she no longer spoke nor ate. This week Bob and I will be going to Kentucky for the service where she will be buried in a tiny family cemetery on top of a mountain in Swan Pond. I have missed her for many years. I am glad that at the end she could be made comfortable and unafraid. The movie version of Sweeney Todd is coming (Dec. 21 in selected cities and then Jan. 11 in wide release.) I love Sweeney Todd. I really like Johnny Depp. But I wasn't sure I liked the idea of Depp as Sweeney. I thought Sweeney required a certain kind of voice. But advance discussion is good. And this YouTube comparison makes me think that Depp is going to be all right. I don't think he should do it on Broadway where he would be required to sing it six times a week. But miked and mixed for a movie, he has a creepy intimacy that seems very effective. February My sister has been in town for the last week and I've also been doing some freelance work. March Is there anything better than a grilled cheese sandwich and the knowledge that one's taxes are done? April So the Vet says the test results from Shelly are weird. July Off to Boston on the 5th for Readercon. August I am sorry for my protracted silence. September When did the tooth fairy become a guy in drag? October Last December we had just moved and I was broke. November When we moved into this house, we found that the oven door didn't quite close which meant that the oven had a draft so the temperature was uneven and baking anything was chancy, at best. December When I was a kid, once I got one of those 'big books' for kids that had stories, puzzles, nonfiction, all sorts of stuff in it. In cooking, as in so much of life, I am confronted with my own inadequacies. I am messy, wasteful, self-indulgent. Before I went to Jamaica, I was in Central Market and they had Meyer lemons. We don't do many varieties of lemons in the US. Or for that matter, limes or bananas. You can get Valencia oranges, navel oranges, blood oranges, Seville oranges. But for lemons, we mostly got the one. But once in awhile you'll see Meyer lemons. They're less tart than regular lemons, and for that reason not everyone likes them. But I like them a lot. So even though I was leaving the country in a couple of days, I bought some lemons. Then I worked, packed, did laundry, and, well, didn't use the lemons. I got back from Jamaica and the Meyer lemons were very very ripe, but had not spilled over into rotten. Today I made a lemon meringue pie from the Meyer lemons. I like lemon meringue pie a lot. But the really fun thing is, Bob likes it a whole lot. 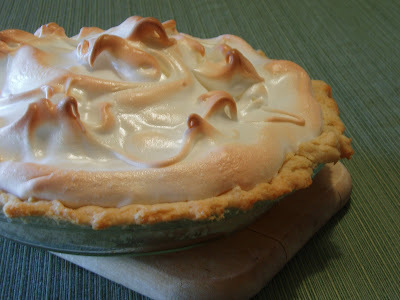 Sometime in the next couple of hours there is a very good chance he will check my blog, and then he'll find out he's having Meyer lemon meringue pie tonight. Hey Bob! Can't wait until you get home! I'm writing a short story about AI. Which is fairly ludicrous because I can't even program TIVO. 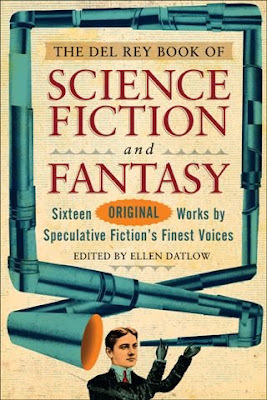 But that's why they call it fiction. At this moment, I actually kind of like my story. So here's the opening. At 3:17 EST, the lights at DM Kensington Medical did the wave. Starting at the east end of the building, the lights went out, and after just a couple of seconds, came back on. The darkness went down the hall. Staff looked up. It was a local version of a rolling blackout, a kind of weird utility-weather event. In it’s wake, IV alarms went off, monitors re-set. Everything critical was on back-up but not everything was critical, some of it was just important, and some of it wasn’t even important, unless you consider coffee a life-or-death substance. Which for a resident, might be true. It was not life-threatening in the immediate sense, but it wasn’t trivial and it interrupted pharmacists counting meds, a CT Scan, a couple of X-rays, and it derailed a couple of consultations. The line of darkness washed across the buildings, leapt the parking lot, split into two parts and then washed north and south simultaneously across a complex of medical offices. At 3:21, the same thing happened at UH Southpoint Medical. UH Southpoint was in Tennessee and Kensington was in Texas. At 3:25 it rolled through Seattle Kellerman, although there is started in the north and went south. The three hospitals were all part of the Benevola Health Network. Their physical plant—thermostats, lights, hot water and air filtration—were all handled by BHP DMS, a software system. Specifically by a subroutine called SAMEDI. SAMEDI was not an acronym. It was the name of a Haitian Voodoo loa, a possession spirit. A lot of the subroutines in BHP DMS were named for Haitian loa. The system that monitored lab results and watched for emergent epidemiological trends (a fancy way of saying something that noticed if there were signs of say, an upsurge in cases of West Nile virus, or an outbreak of food poisoning symptoms across several local ERs) was called LEGBA, after the guardian of the crossroads, the trickster who managed traffic between life and the spiritworld. Someone had undoubtedly been very pleased with themselves. The problem line lit up in BHP DMS IT. “You’re the least Aspergers person in the department. It’s that having two X chromosomes thing.” Actually, the only people in the department who were clinically Aspergers were probably Dale, who was a hardware guy, and their boss, Tony. “The difference between see/not see is a lot bigger than the difference between one eye and two eyes,” Damien said. When I was a kid, once I got one of those 'big books' for kids that had stories, puzzles, nonfiction, all sorts of stuff in it. I loved it beyond words.